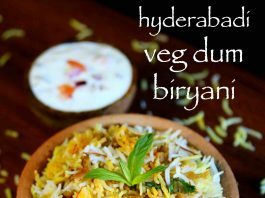 i had already shared a hyderabadi veg biryani recipe and it was prepared without the dum style of cooking. 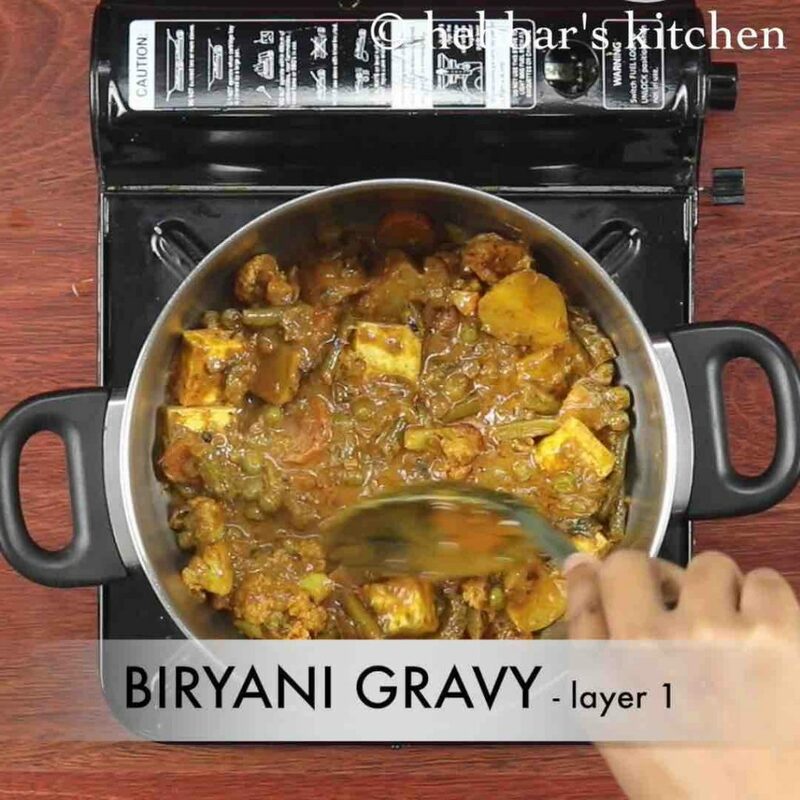 i had used normal kadai with just one layering of biryani gravy and cooked basmati rice. 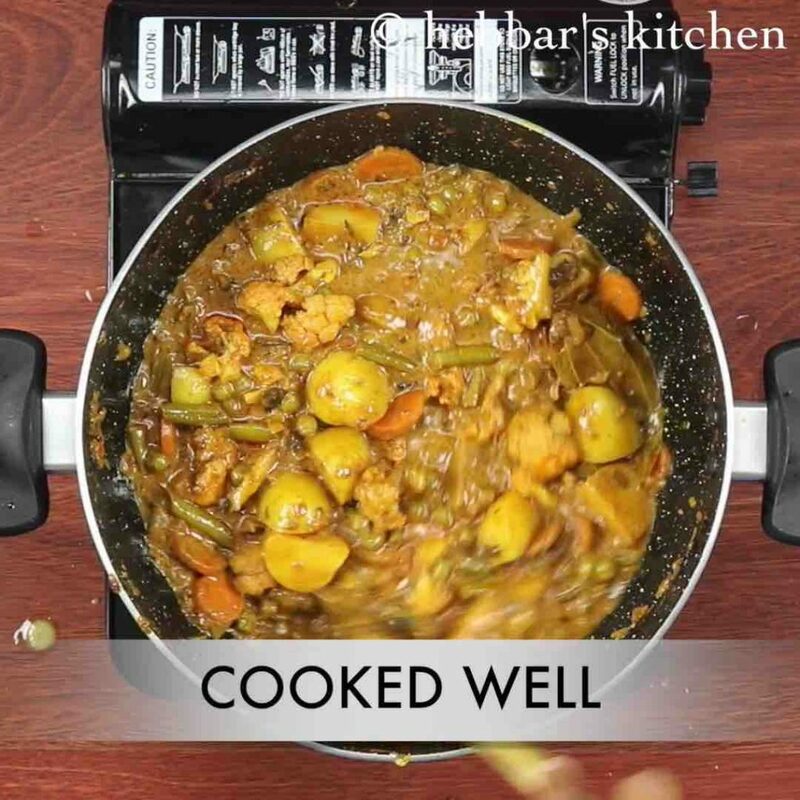 also i had served it with bhindi ka salan but traditionally it is served with spicy mirchi ka salan and also shahi tukda or double ka meetha dessert recipe. however, i personally like it with bhindi ka salan just because i feel the later one as extra spicy. in addition i serve it with tomato onion raita or mint raita which basically helps to lower the temperature of spice in dum biryani. 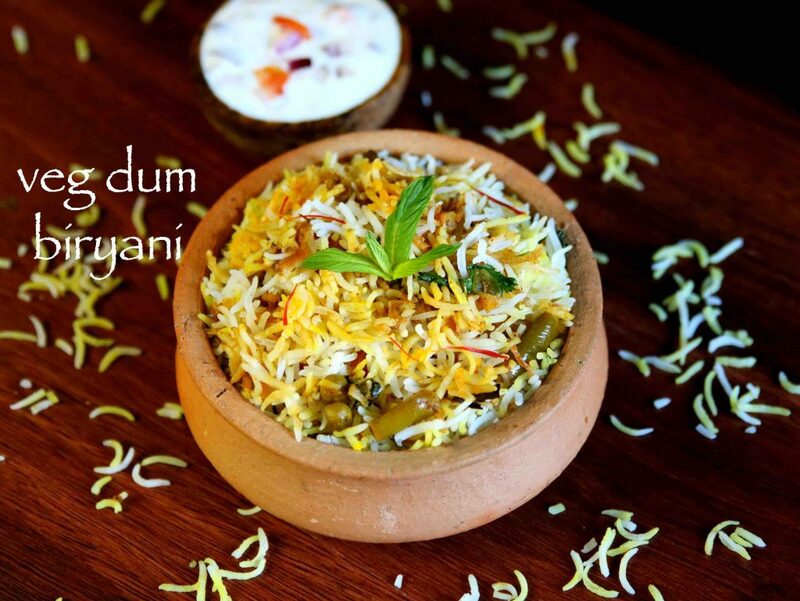 furthermore, some important tips and recommendations for a perfect spicy veg dum biryani recipe. 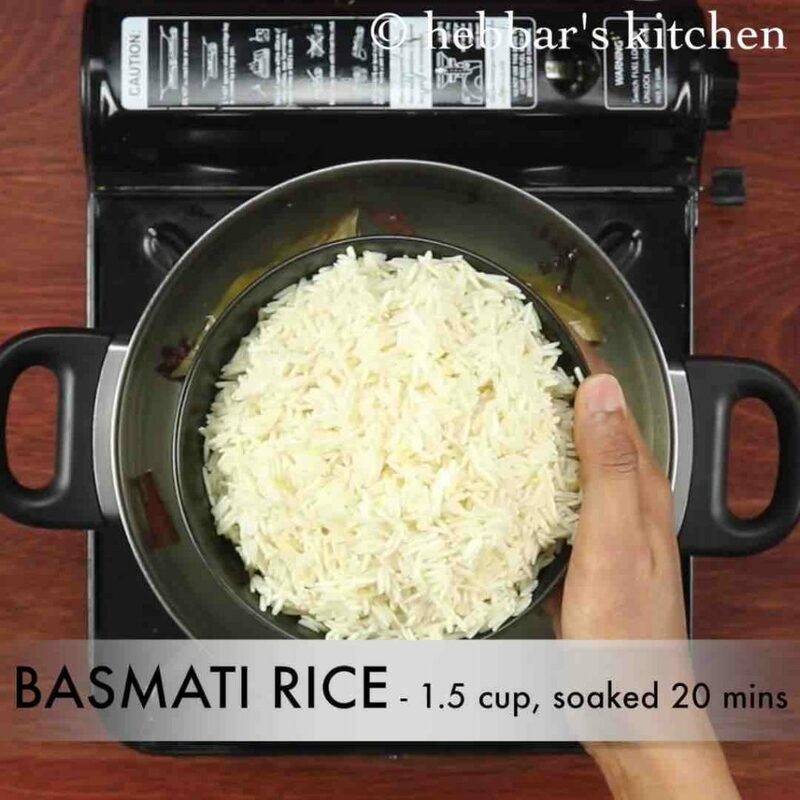 firstly, i have used long grain basmati rice in this dum biryani recipe, however sona masuri rice can also be used as an alternative. also i have cooked the rice and biryani gravy separately, but it can be cooked together similar to my pressure cooker biryani recipe. secondly, i have added freshly homemade paneer to this recipe, but it is completely optional and can easily skipped. lastly, biryani rice always taste better when served next day. i always prepare it for dinner and for next day lunch and it tastes better for my lunch. 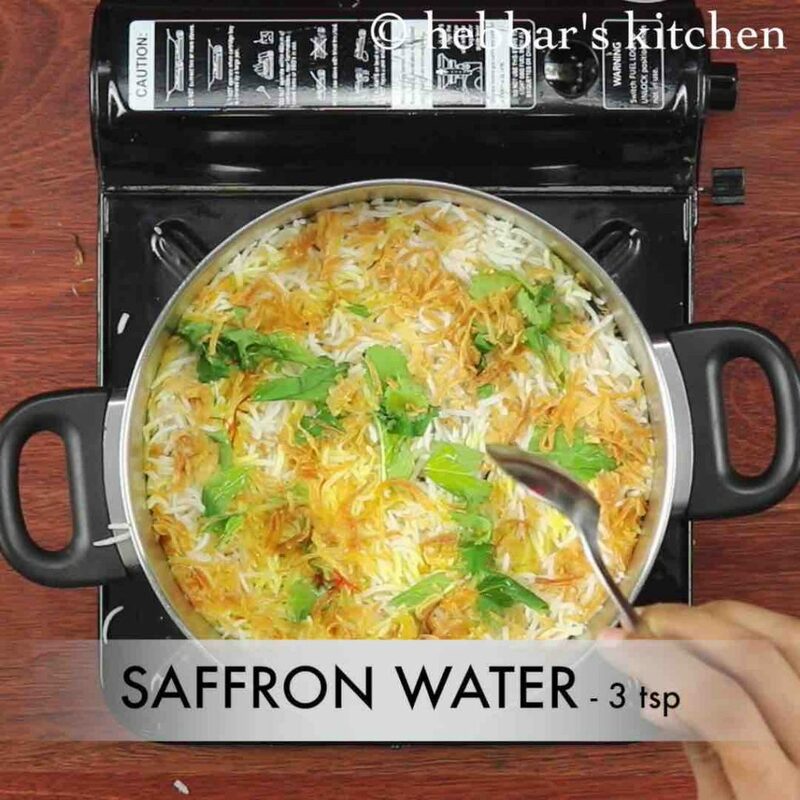 finally, serve hyderabadi dum biryani with raita or mirchi ka salan. 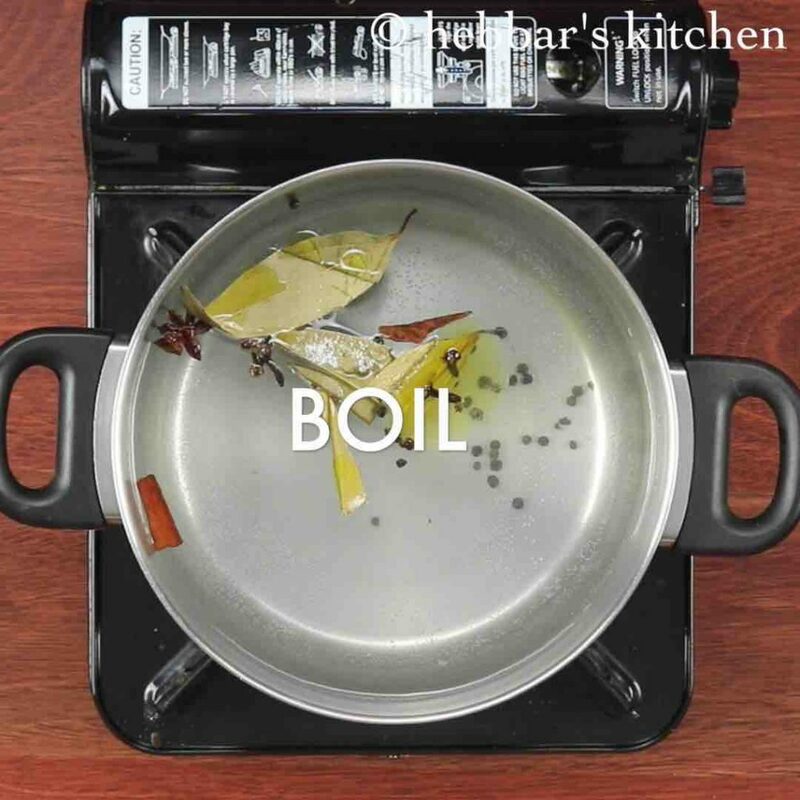 firstly, in a large vessel boil 8 cups water along with 2 bay leaf, 1 inch cinnamon stick, ½ tsp cloves, 1 star anise, ½ tsp pepper, 2 tsp oil and 1 tsp salt. 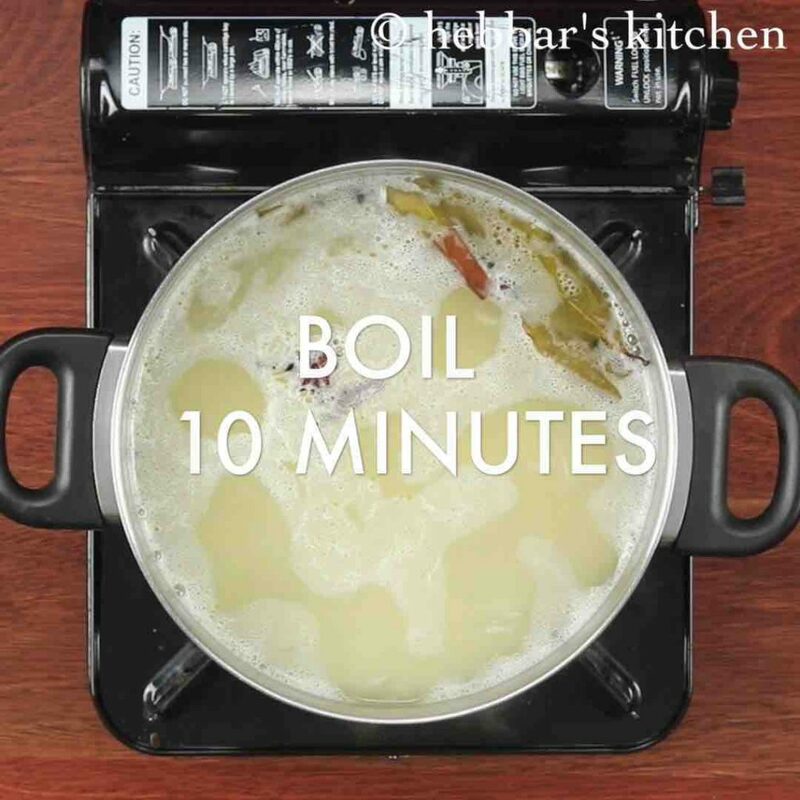 now add 1½ basmati rice, soaked for 20 minutes. stir well. 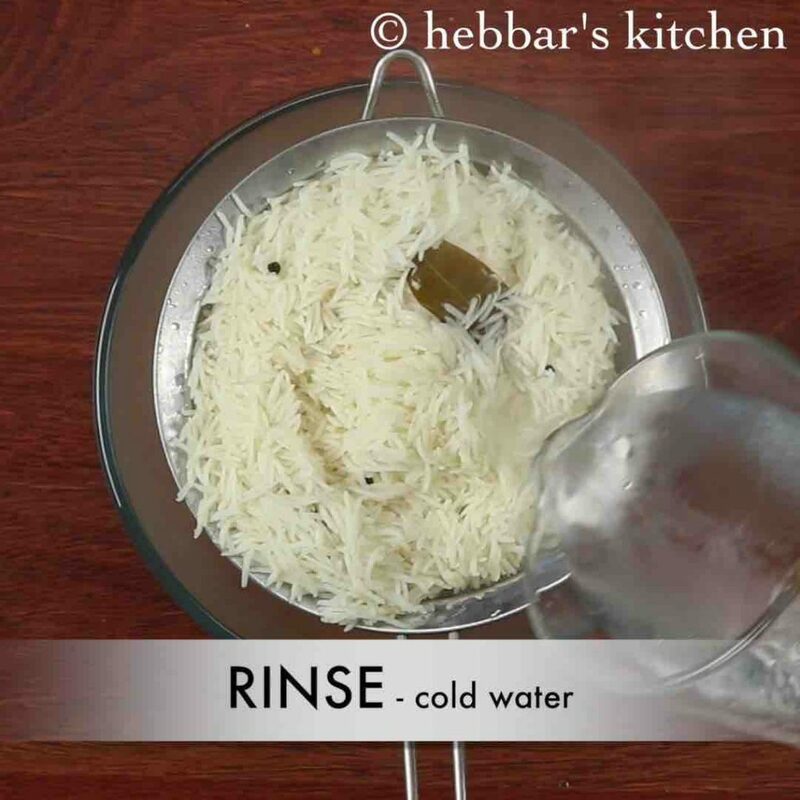 drain off the water and rinse with cold water to stop cooking process. keep aside. 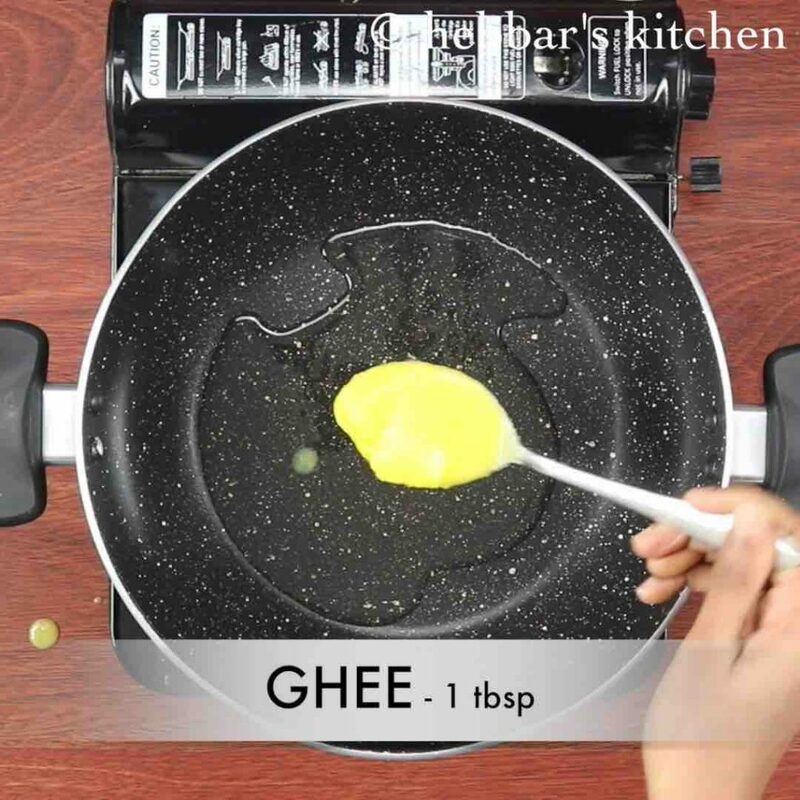 firstly, in a large kadai heat 2 tbsp oil and 1 tbsp ghee. 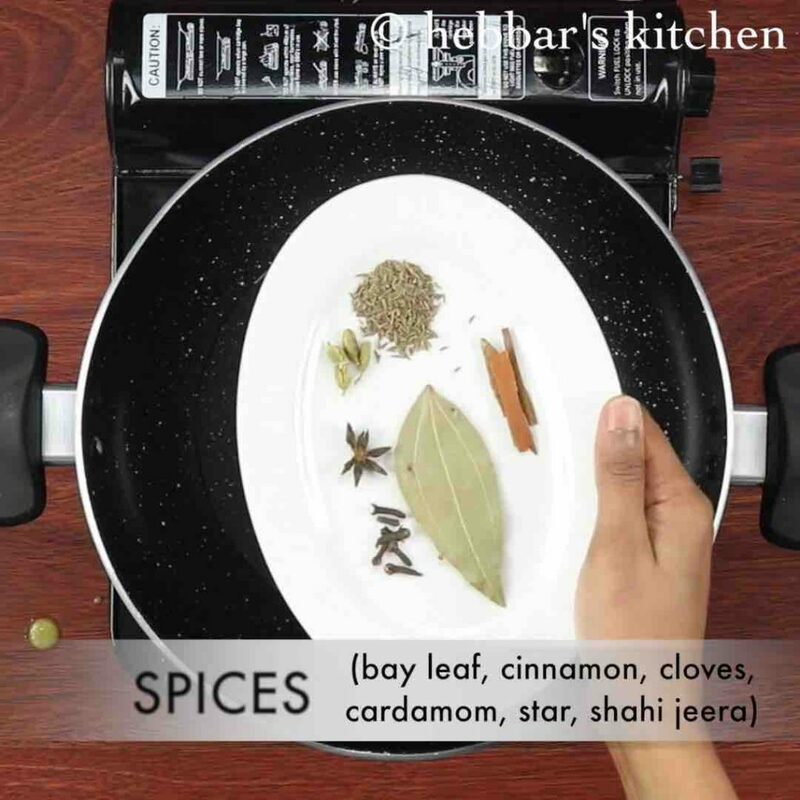 further add 1 bay leaf, 2 inch cinnamon stick, ½ tsp cloves, 1 star anise, 4 cardamom, 1 tsp shah jeera. 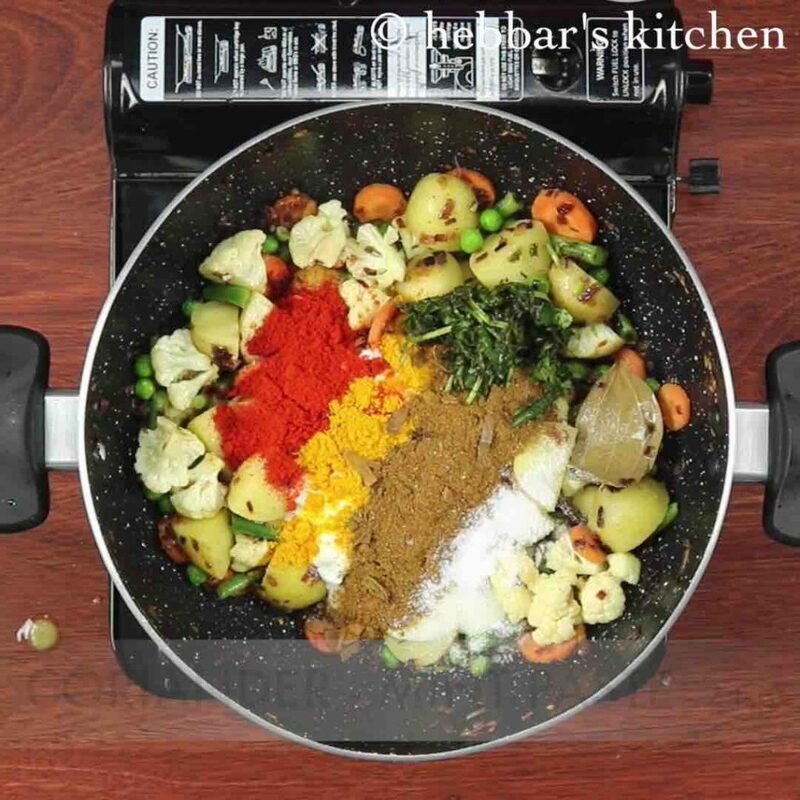 saute till the spices turn aromatic. 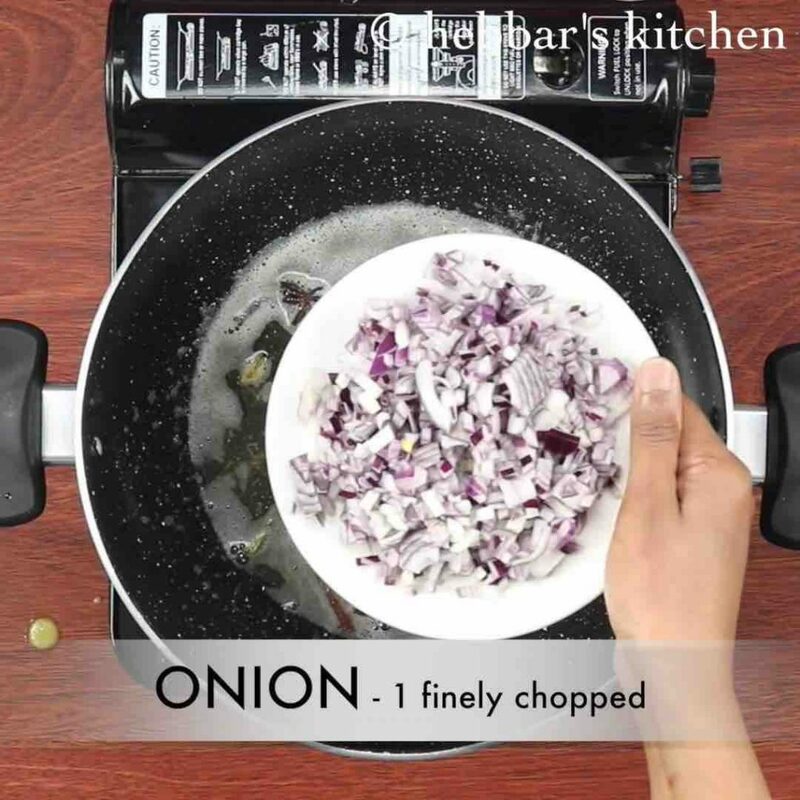 add in 1 finely chopped onions and saute well. 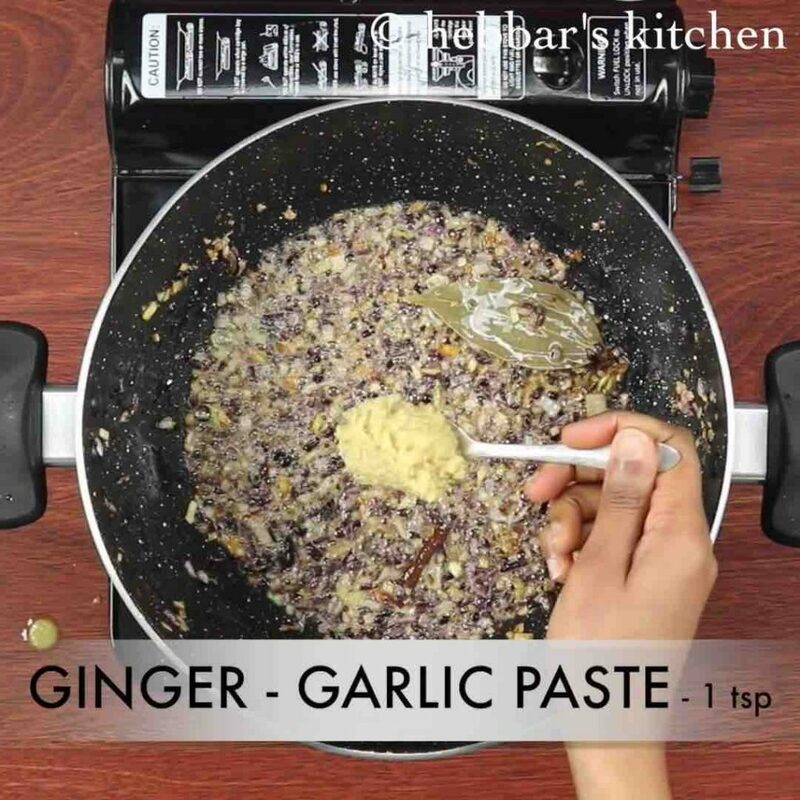 also add 1 tsp ginger garlic paste and saute. 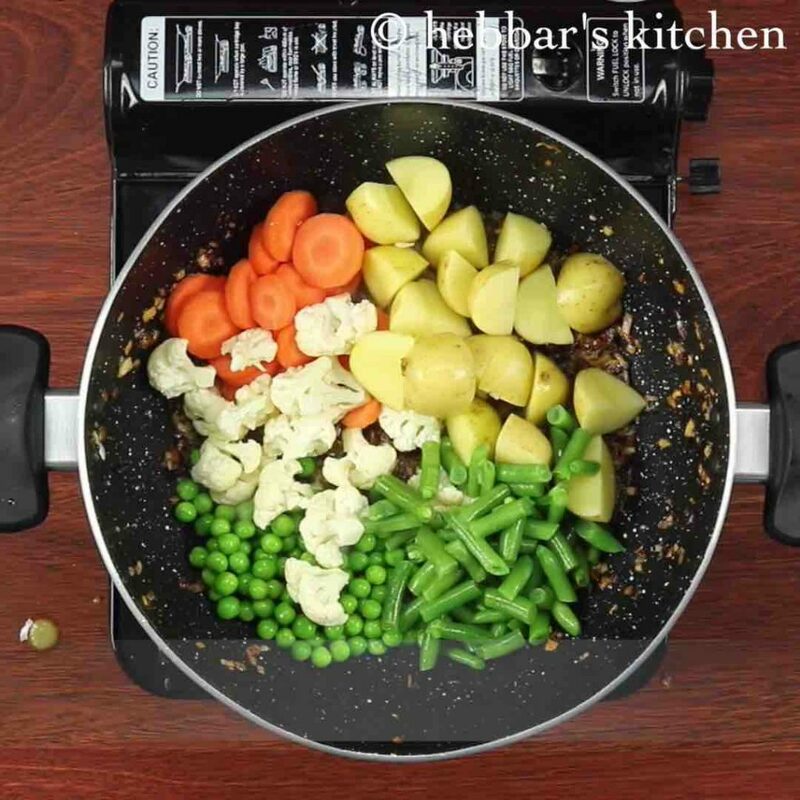 furthermore add 2 cups mixed vegetables (carrot, gobi, peas, potato, beans) and saute for 2 minutes. 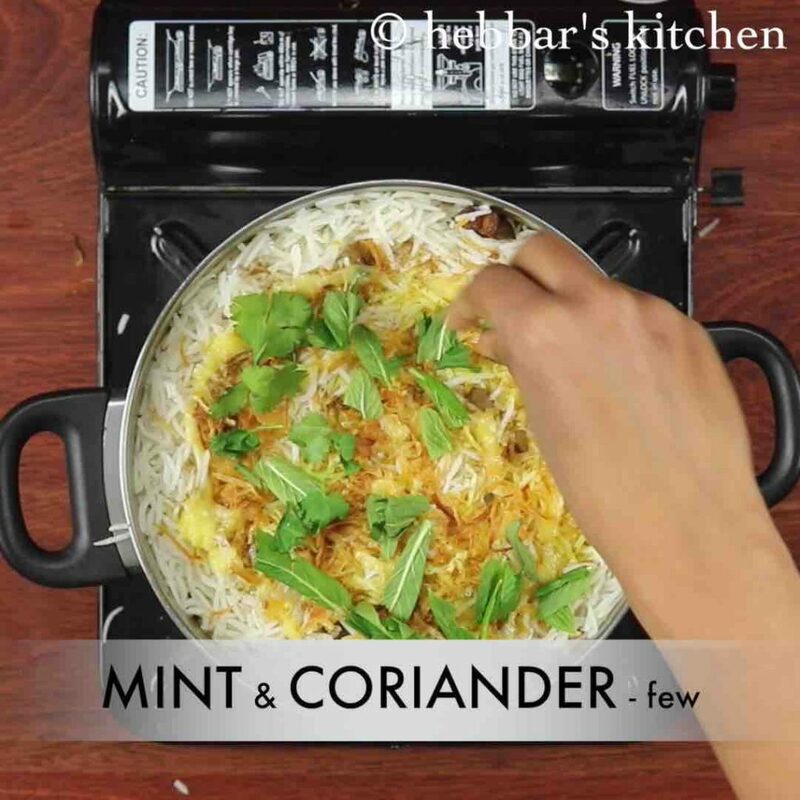 additionally add 1 cup curd, 1 tsp chilli powder, ½ tsp turmeric, 2 tsp biryani masala powder, 1 tsp salt and 2 tsp coriander-mint paste. further add 1 cup water. 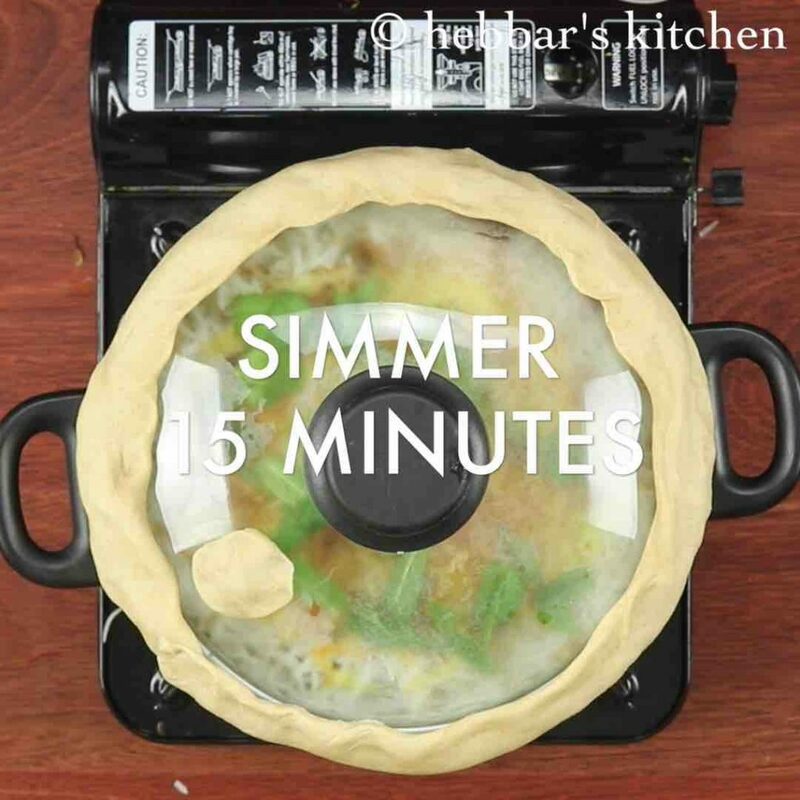 cover and cook for 15 minutes. cook till the vegetables are almost cooked. 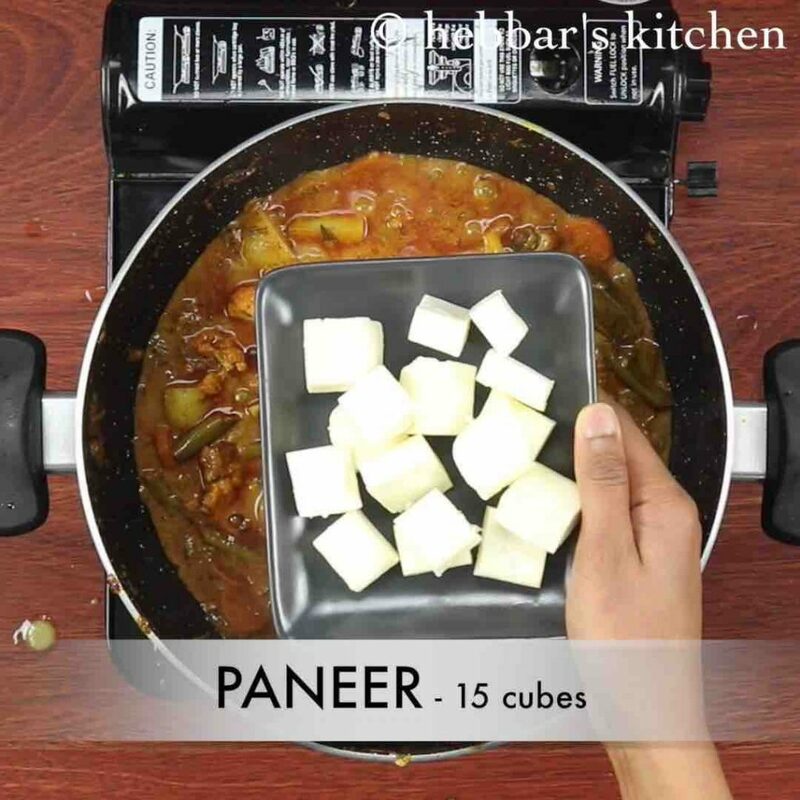 now add 15 cubes paneer and mix well. 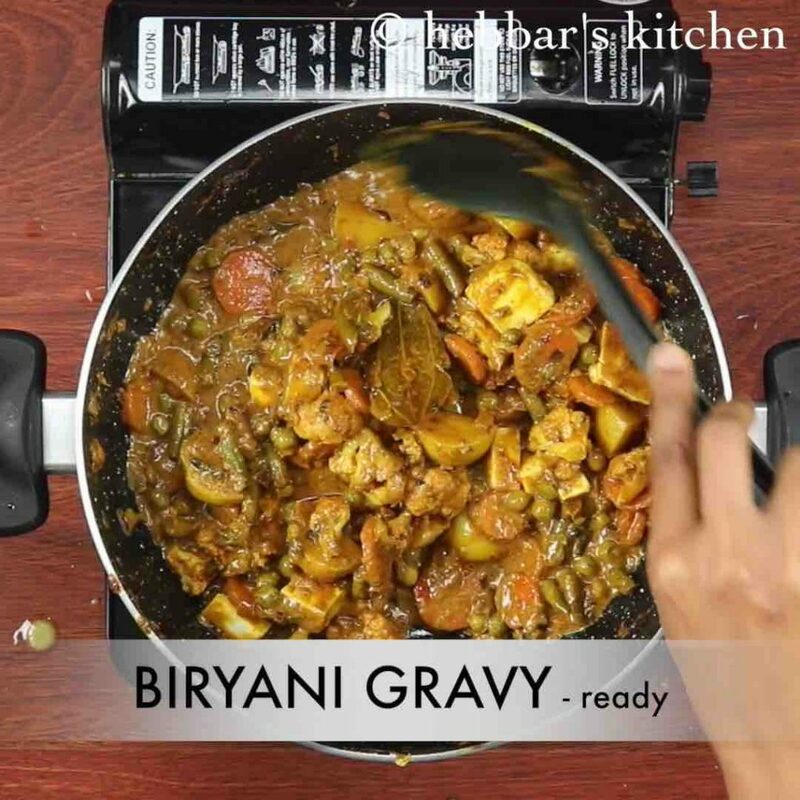 finally biryani gravy is ready. 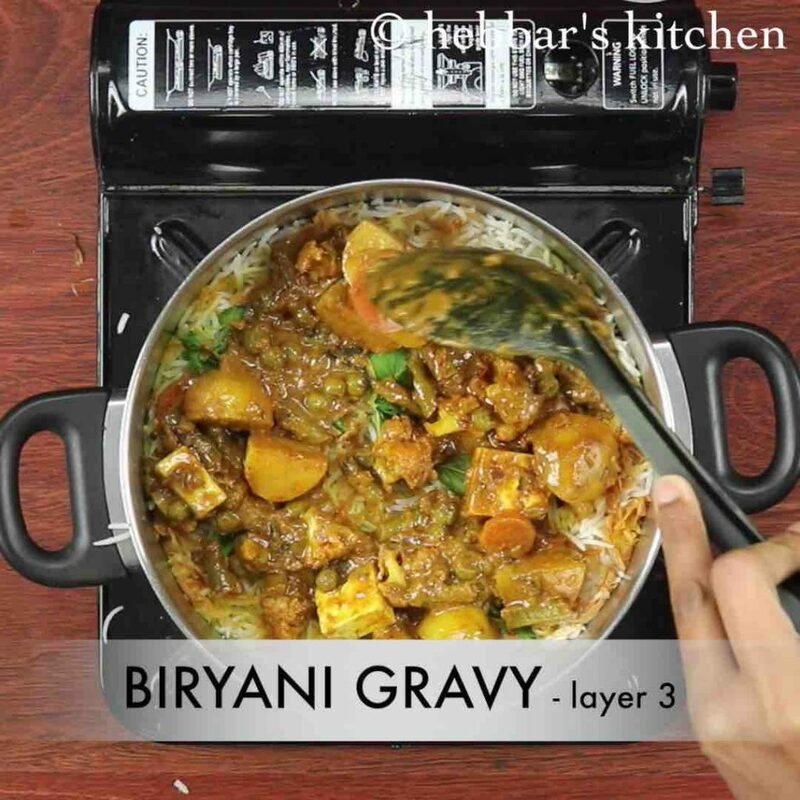 as a third layer, spread again prepared biryani gravy. also top with a tbsp of ghee, mint, coriander for more flavours. now close the lid and seal with wheat dough. 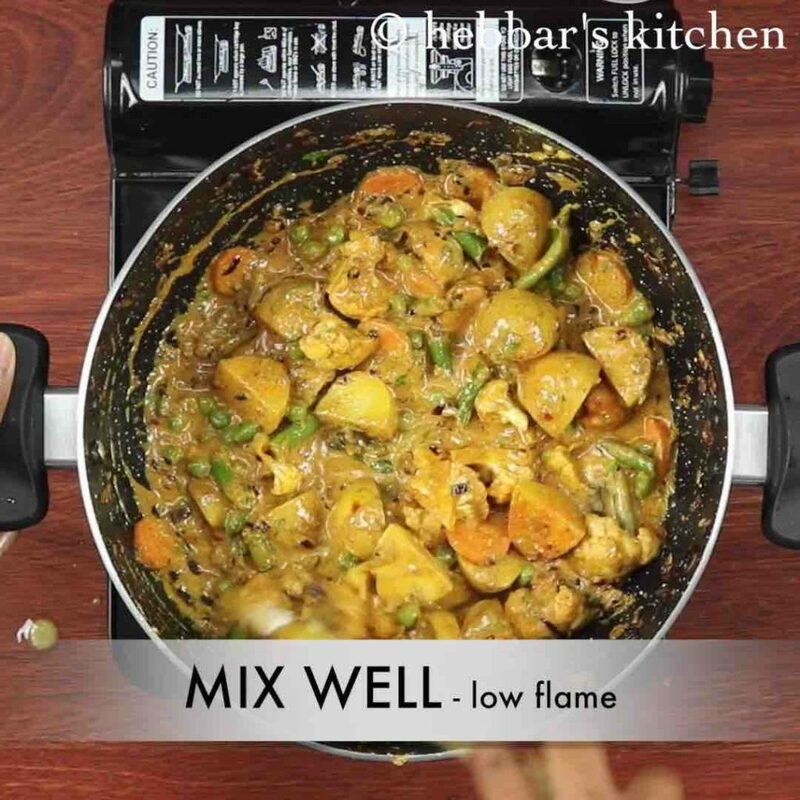 keeping the flame on low, cook for 15 minutes or till the rice and vegetables get completely cooked in presence of steam or dum. 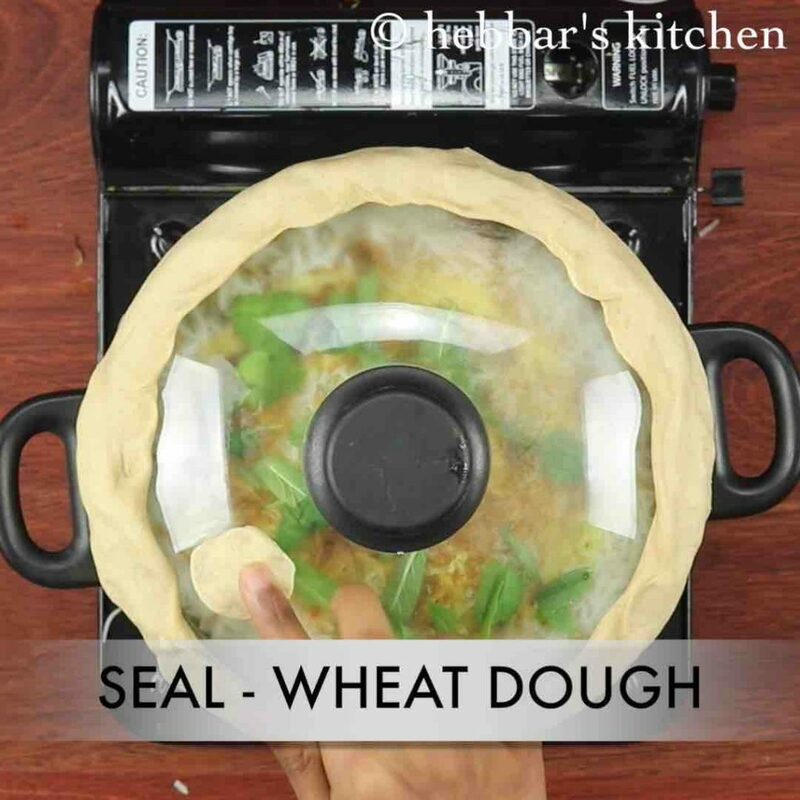 firstly, if you do not want to seal with dough then just cover with aluminum foil and cook. also add vegetables of your choice to make it more nutritious. 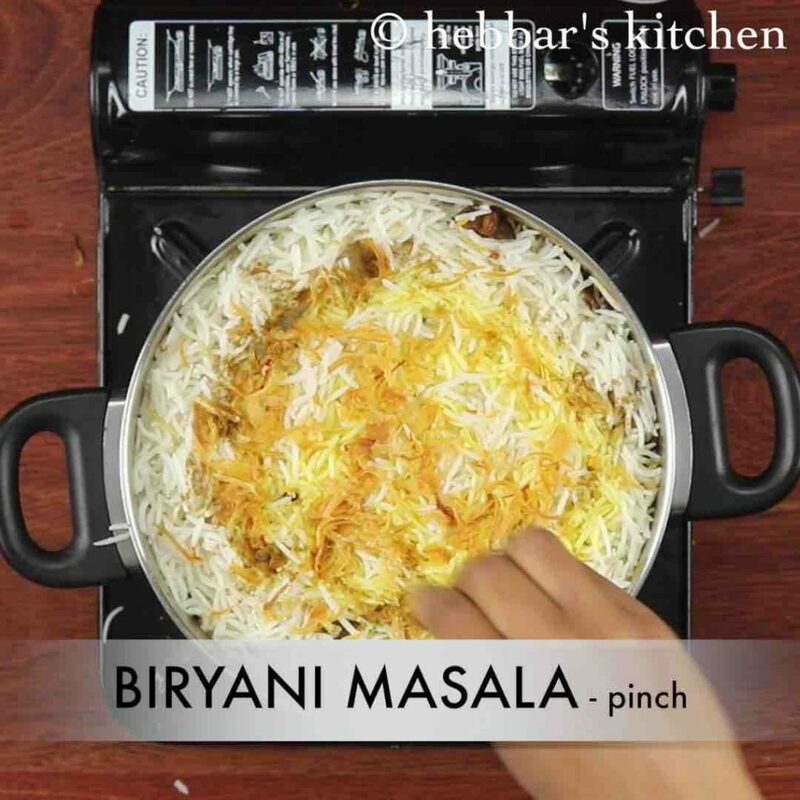 additionally, use thick bottomed vessel and cook the biryani on low flame, else the biryani might burn at the bottom. 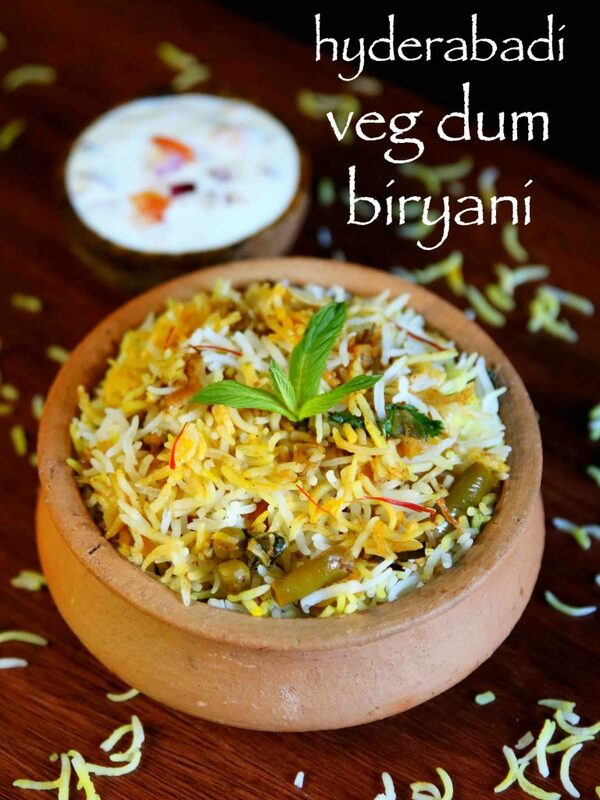 finally, hyderabadi veg dum biryani taste great when served after 2-3 hours of preparation. Tried biriyani for the first time. It came out very well. Aroma is amazing and my wife loved it. 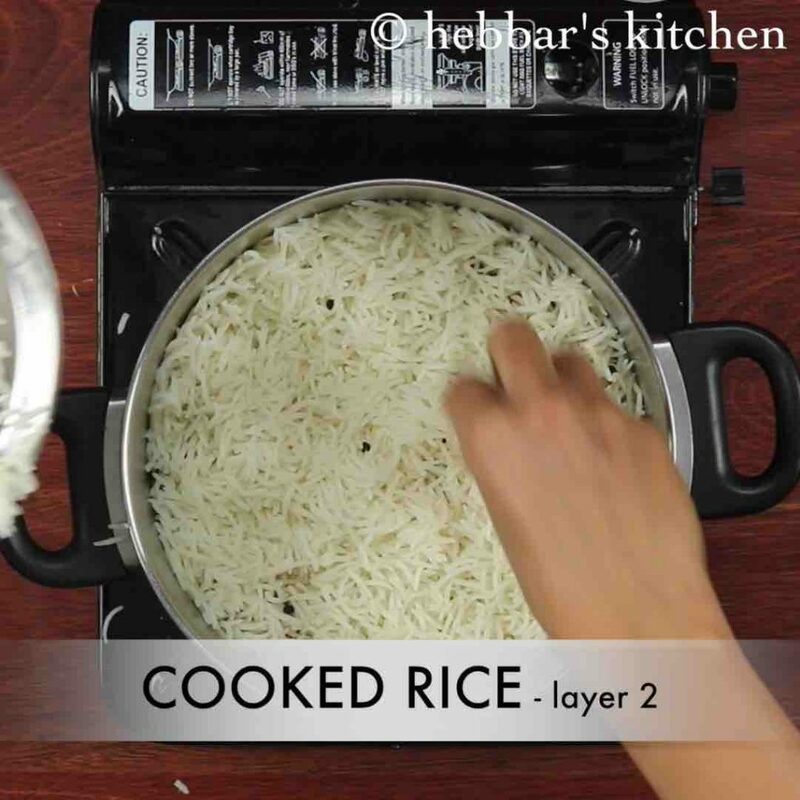 Thanks Hebbars for this step by step recipe. Useful for me. hello hebbar avre namaskara nimge..
i have tried your recipes around 20-25 all came out perfectly well… this is the best dish wich came out very much perfectly.. my hubby loved it.. love your recipes..
namaskara shilpa.. tumba kushi aaytu.. I am a big follower of your recipes. I tried almost 20 recipes from your list. It’s very easy to cook and the most important thing I like about you is that with simple, easily available spices your innovation is just commendable. Love all your food recipes. Keep posting new recipes, as my family is vegan too. Hi can i substitute biryani masala with some other masala? I dont have the biryani masala. dum biryani taste great if you add biryani masala itself.. Vegetables should be boiled or raw?? 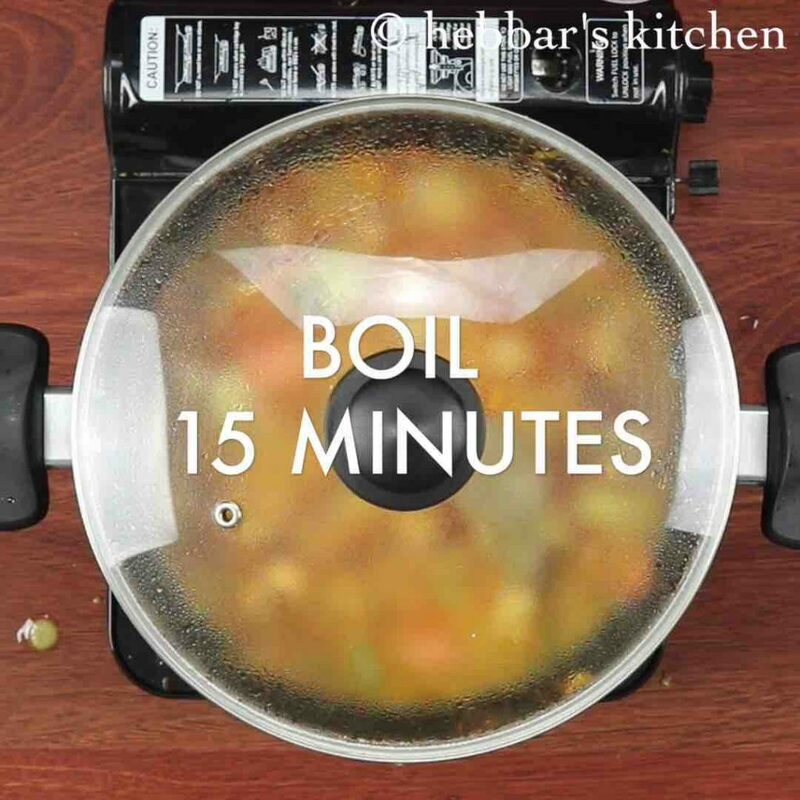 add raw vegetables and then boil it until its completely cooked..may be for about 15-20 mins. I made this biriyani but instead of dum I baked it. Came out awesome in first attempt. I have always stayed away from biriyani but u gave me inspiration to do it. And hubby loved it . Thanks!!! I am big fan of yours ….I like all of your videos , they are so clean and neat. Wish we could get some non veg recspies as well..
All my guests are appreciated us..
what can be a substitute for curd? I made this recipe. My family loved it.